Since Rick Perry declared his candidacy for the Republican presidential nomination last week, much ink has been spilled over the controversy surrounding his decision as governor to execute Cameron Todd Willingham—a man whose innocence was advocated by many investigative reports, including a popular investigation by David Grann in The New Yorker. But with 234 executions and counting under Perry’s belt, Willingham hardly represents the only figure whose case and subsequent execution has became the subject of controversy. Here’s a list of the top five most questionable cases beyond that of Willingham. Napoleon Beazley. In 1994, Napoleon Beazley shot John Luttig during an attempted carjacking. At the time, Beazley was only 17 years old, and he was president of his senior class. John Luttig’s son, Michael Luttig, went on to become a U.S. District Judge. When the case reached the U.S. Supreme Court, three justices—Antonin Scalia, Clarence Thomas, and David Souter—had to recuse themselves because they had relationships with Michael. The remaining six justices voted 3-3 on Beazley’s appeal, with the tie resulting in a rejection. Beazley was executed in 2002. The Supreme Court later banned executions for offenders under 18 in 2005. Frances Newton. In 2005*, after 18 years on death row, Frances Newton was the first African American woman to be executed in Texas since the death penalty was reintroduced in 1976. She had been convicted for the murder of her husband and two children, but there was no physical evidence to prove that Newton had committed the crime. In addition to the lack of physical evidence used to convict Newton, she had limited access to an adequate defense attorney. Her trial lawyer, Ronald Mock, was infamously incompetent and later suspended by the Texas State Bar. Newton maintained her innocence throughout the entire trial. Milton Mathis. Despite evidence of mental retardation, Milton Mathis was executed in 2011* for the murder of two people. Intelligence tests administered to Mathis scored him in the low 60s, indicating significant mental disability. The prosecutors claimed, despite these scores, that Mathis was “street-smart” and that his behavior indicated he had a “normal” level of intelligence. Perry claims that he did not have the ability to offer a reprieve for Mathis without recommendation from the Texas Board of Pardons and Paroles. 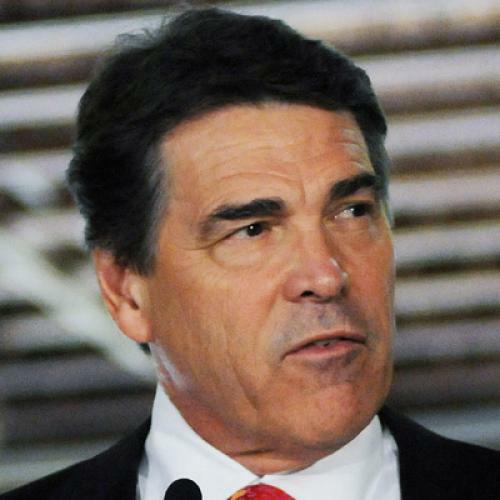 In 2001, Perry vetoed a bill that banned the execution of the mentally disabled. Mark Stroman. In late 2001, Mark Stroman went on a shooting spree, murdering two store employees and injuring one more in what he claimed was an act of vengeance for the attacks of September 11. The survivor, Rais Bhuiyan, unsuccessfully sued to stop the execution of Stroman. Bhuiyan argued that, as a practicing Muslim, he was required to forgive Stroman for his wrongdoings and that Stroman was learning from his mistakes. The execution was delayed when a judge from Austin considered hearing Bhuiyan’s lawsuit, but the case was later expelled by the Texas court of criminal appeals. He was executed in July. Kara Brandeisky is an intern at The New Republic. Research compiled by Julia Dionne. *CORRECTION: Frances Newton was executed by the state of Texas in 2005, not in 2009, as originally stated. Likewise, Milton Mathis was executed in 2011, not 2008.